A voucher is one of the most effective ways of handling inbound sales. This allows you to acquire a steady stream of new customers and to continue driving repeat customers to your business. However, making your offers stand out from that of competitors can be a huge challenge for many business owners in a fast-paced market. To ensure maximum impact with your campaign, there are few things to remember about voucher marketing. 1. Use fonts that are readable. Use text fonts that are legible, clear, and easy to read. Make sure to limit the use of fonts to a maximum of two different types. It’s also best to use larger and bold fonts to emphasize your copy and get your message across more effectively. 2. Write a good hook. Capture the attention of your audience with a good hook. It should be compelling enough to catch the eye of a customer and pique one’s curiosity. Make sure to keep it direct and relevant to your message in order to actively engage with readers and make a lasting impression. Some of us are guilty of making an unplanned purchase due to a promotion that was difficult to ignore. Take advantage of this behavior by putting a deadline on your vouchers. This will create a sense of urgency among consumers, which can help you generate an immediate response to your call-to-action. Making the offer seem scarce is sure to boost redemption rates by a good percentage. 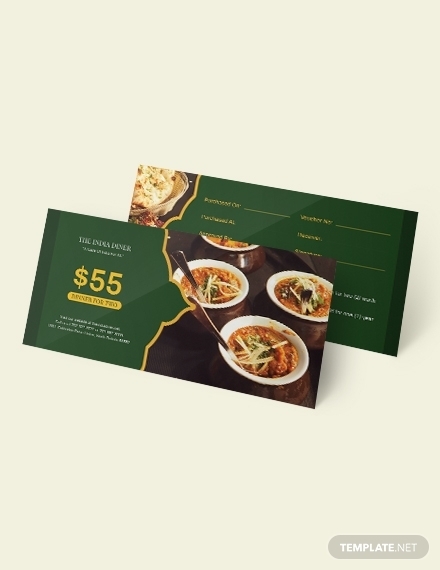 A voucher is no different from a marketing brochure or an advertising flyer. That’s because these are mediums that you can use to build recognition for your brand. 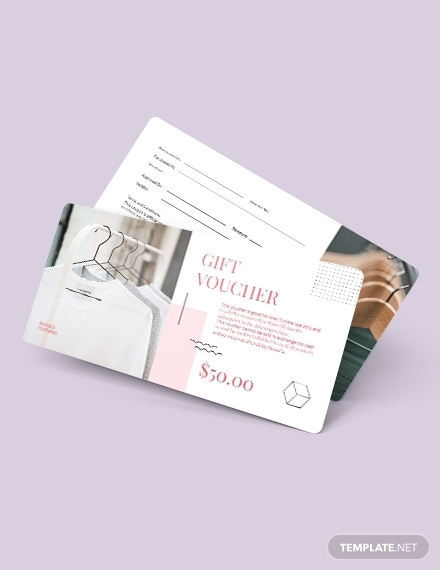 It’s important to design a voucher that can connect with your audience and create a positive perception of your business. A lot of companies offer special discounts to customers who are celebrating their birth month. 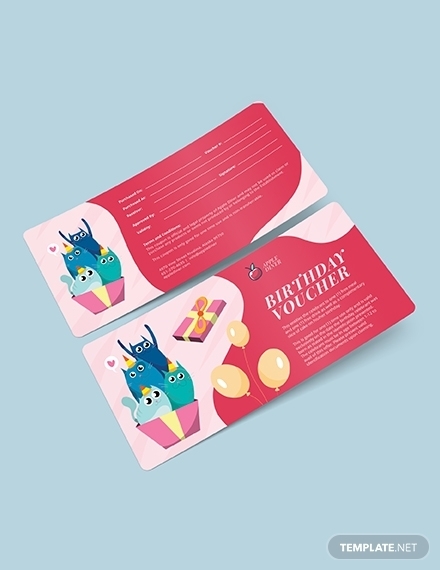 A birthday voucher is typically sent through the celebrant’s personal email to ensure that the promo reaches its intended recipient. This type of voucher will make your customers feel valued; therefore, increasing engagement for future ventures. Supporting our day-to-day needs can be a costly investment, even more so when you’re traveling. This is one of the reasons why some people cling to expense vouchers to make sure their travel expenses are reimbursed by their employers or sponsors. The voucher should include an itemized summary of a person’s expenses for each day of their trip. Vouchers are often sent to customers after they have purchased event tickets online. These vouchers must be downloaded by the buyer to claim a physical copy of the official ticket. Since most companies refuse to issue these tickets without the voucher, it’s important for the document to contain key information to prove that a payment has been made by the said buyer. Staying at a hotel is considered to be a luxury to most people. So when a famous hotel begins offering limited discount codes for early bookings, you’ll want to make sure to get your hands on these vouchers before it’s too late. 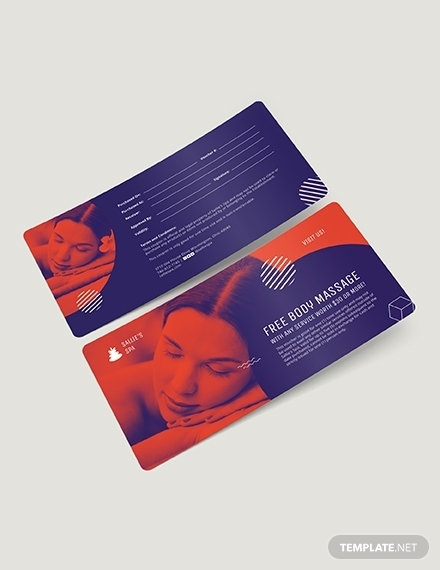 The use of hotel vouchers a clever strategy that companies in the hotel business often implement in an attempt to increase room sales during off-season. 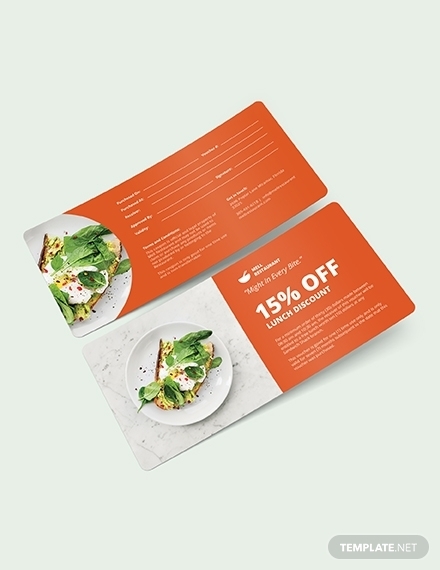 Offer customers a deal they wouldn’t want to waste by giving away lunch discount vouchers for free. This can help drive foot traffic to your restaurant during the weekdays, particularly when business is slow. You can distribute these vouchers by hand or online to make sure your customers stay informed regarding ongoing and upcoming promos. Meal vouchers are perfect for those who want to enjoy a tasty meal without having to spend a fortune on it. This is great for businesses that need to upsell some of their offers and expand their audience. 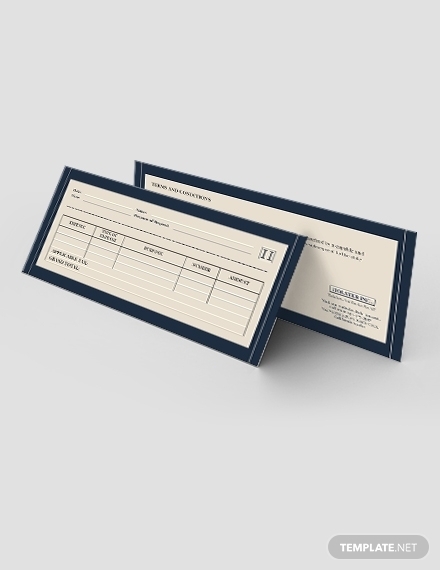 However, it’s best to indicate an expiry or redemption date to prompt an urgent response from customers. Loyal or recurring customers deserve to be rewarded one way or another. Some businesses show their gratitude by giving out thank-you vouchers for customers to enjoy special rewards and freebies. Not only does it make customers feel appreciated, but it also paves the way for possible transactions in the future. Vouchers are the perfect gift idea for birthdays, anniversaries, and holidays. 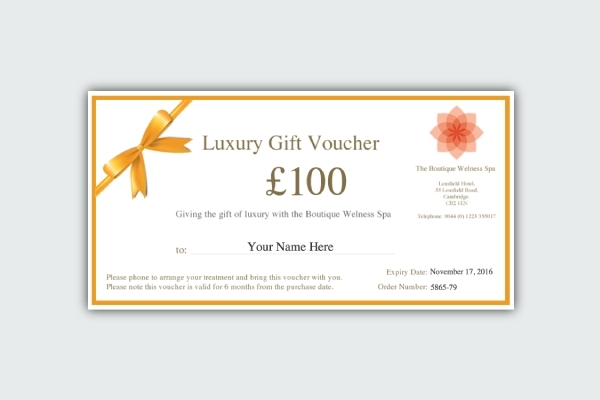 To help make this decision for your customers, consider selling gift vouchers at your spa center. 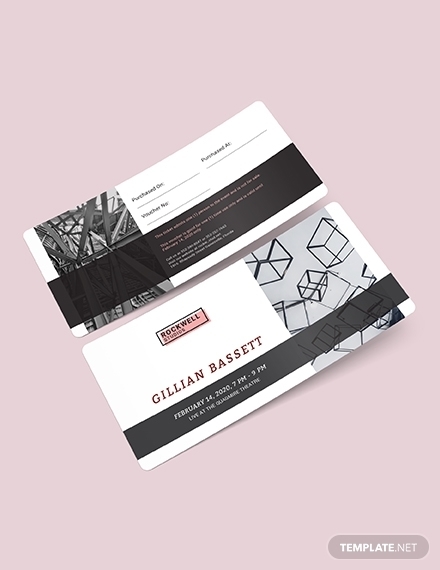 You can also hand these to some of your clients after their sessions as a way of endorsing your services. After all, it’s hard to ignore a body massage that’s offered to you for free. 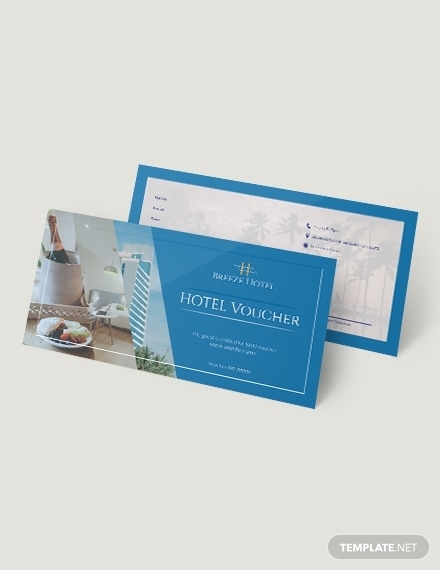 Some vouchers are given as a gift from a loved one or as a complimentary token from a company you are associated with. 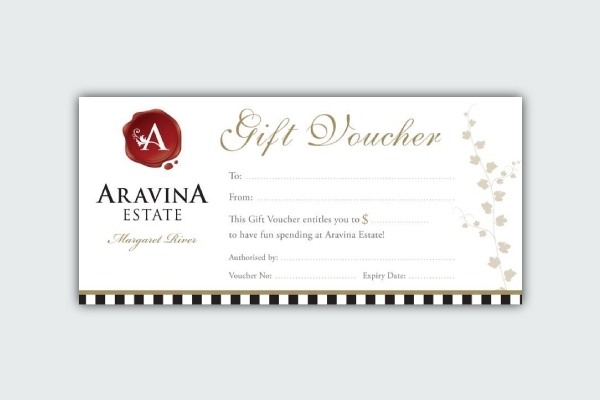 Shown above is an example of a voucher that may be purchased by customers as a gift. This is redeemable for dining in a restaurant, purchasing wine, or buying products from one of their stores. Wellness spas usually offer a wide range of services that customers can enjoy. If you’re thinking about giving a spa voucher to a friend or family member, be sure to write the name of the person receiving the voucher. This will prevent the voucher from being redeemed by an unauthorized individual in case of theft or loss.